Sir John Betjeman remains the most popular English poet of today. He has been termed a ‘national teddy bear’, and some commentary has addressed his work in rather such terms. However, it is evident that most of his key themes – the spirit of place (or ‘place-myth’), mundane lives (‘petit récits’) or historical continuity (the ‘presence of the past’) – have specific relevance to postmodern and, especially, environmental concerns. 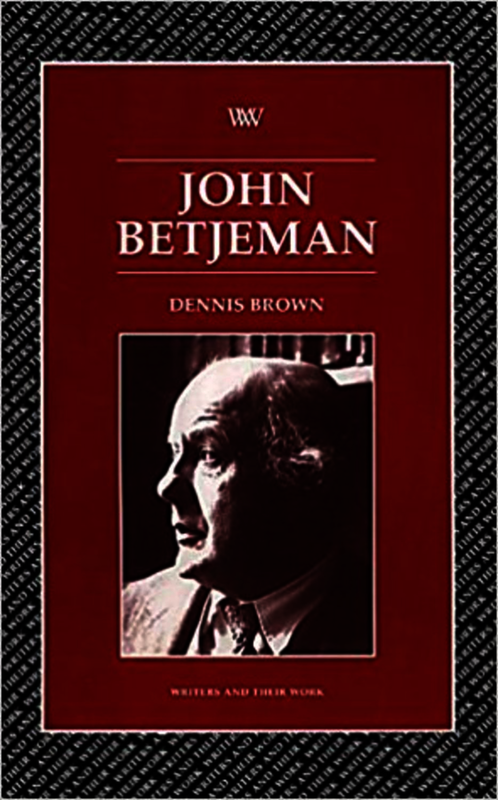 Dennis Brown’s book assesses Betjeman’s contribution in the light of this, emphasising its ironic self-reflexivity, its rendering of Englishness and a ‘soft’ masculinity, and its ecumenical Christian tolerance. The popularity of Betjeman’s lyrics, and his verse-autobiography Summoned by Bells, is considered as indicative of Britain’s post-imperial self-revaluation. It is shown how the poet’s technique offers an accessible alternative to more complex neo-modernist poetics. Overall, the book stresses Betjeman’s contemporaneity, and his relevance to an era of ‘contingency, irony, and solidarity’. Dennis Brown is Professor of Modern Literature at the University of Hertfordshire. He has taught extensively across the range of literature but specialising in the twentieth century period. His books include: The Modernist Self in Twentieth-Century English Literature (1989); The Poetry of Postmodernity (1994).